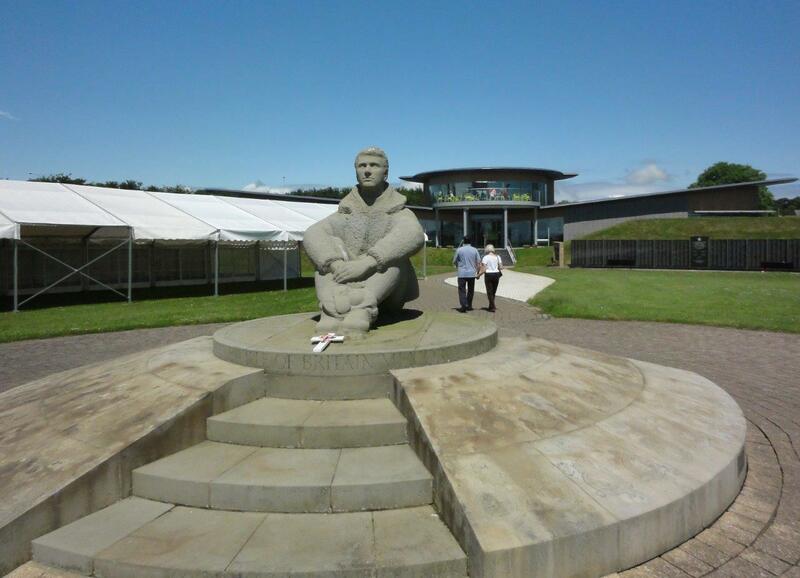 On 23 June, 14 Members and Guests visited the Battle of Britain Museum at Capel-Le-Ferne. We met for a welcome cup of tea or coffee in the Observation Lounge on a cloudless sunny day with the coast of France clearly in view. We then visited the Eastern wing to view a number of interesting videos, as well as numerous informative and thought provoking interactive displays. Outside we viewed the Memorial Wall and the information panels as well as the full size replica Hurricane and Spitfire aircraft. Cliff top views of Folkestone and the Coast completed our Visit. Lunch at the Lighthouse Inn was enjoyed by us all.